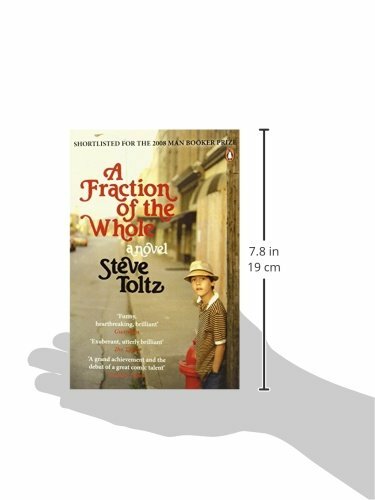 Steve Toltz's A Fraction of the Whole is a riotously funny explosion of a novelSHORTLISTED FOR THE MAN BOOKER PRIZE 2008From his prison cell, Jasper Dean tells the unlikely story of his scheming father Martin, his crazy Uncle Terry and how the three of them upset - mostly unintentionally - an entire continent. 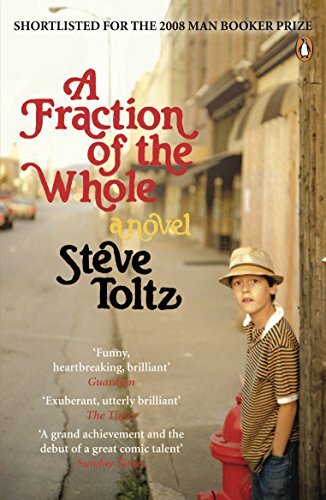 Incorporating death, parenting (good and bad kinds), one labyrinth, first love, a handbook for criminals, a scheme to make everyone rich and an explosive suggestion box, Steve Toltz's A Fraction of the Whole is a hilarious, heartbreaking story of families and how to survive them. 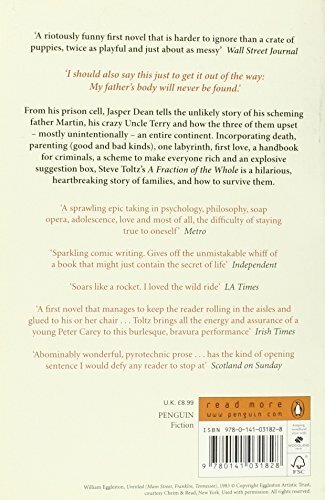 'A fat book but very light on its feet, skipping from anecdote, to rant, to reflection, like a stone skimming across a pond . ., . it is brilliant' Guardian'Sparkling comic writing . ., .It gives off the unmistakeable whiff of a book that might just contain the secret of life' Independent'With tinges of magical realism and buckets of misanthropic humour it's a clever and funny debut' Observer'If first novels were sandwiches, Steve Toltz's would be a juicy, swaggering doorstop of a sarnie, overflowing with eccentrically combined but delicious ingredients . . ., Toltz is a superb phrase-maker with an acute eye for humanity's shortfalls'Big IssueSteve Toltz was born in Sydney. After graduating from Newcastle University in 1994, he has lived in Sydney, Montreal, Vancouver, Barcelona and Paris, working primarily as a screenwriter and freelance writer, but also doing stints as both a private investigator and an English teacher. A Fraction of the Whole is his first book.